Mmm, That Pizza Was Good...OMG! WTF is That??? We've seen all kinds of pizza box advertising. Some are better than others. 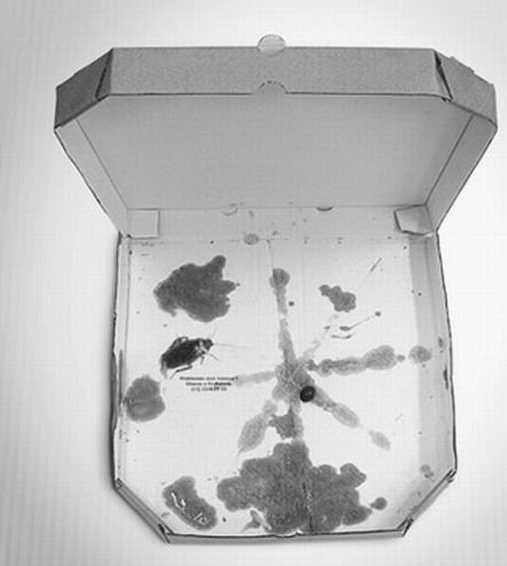 Others are just shocking such as this ad for an extermination company which was placed inside a Mamma Mia pizza box. 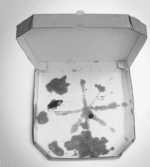 Since the ad is placed under the pizza, it isn't seen until the pizza has been finished. We're thinking a few people might fill that pizza box right back up with puke after seeing this ad. See all the images here. Sadly - someone thought they were being funny. It is astonishing to me that anyone would actually think that an advertisement that gross would be effective. This is VERY effective. I bet you will remember this ad forever without even seeing it first hand. Very gross, but very good.